Error with Intel motherboard chipset drivers Components missing from the display panel (vbo check box) "Unable to find a valid certificate" or "Unable to establish a secure connection to the login server" Computer's clock is set incorrectly Invalid certificate due to malware Second Life fails to load and displays an error regarding DINPUT8.DLL Motherboard or AGP drivers out of date "Verifying Protocol Version," "Cannot resolve domain name," or "Cannot find server" Can't run full screen, Can't run with a specific resolution, or can't run with 32-bit color Error with Intel motherboard chipset drivers To correct this, update the drivers for your motherboard, if they're out of date. There are a few Intel motherboard types that show this error even if the drivers are current. Notice that this message says Would you like to see a page with drivers? and provides Yes/No buttons. Clicking on No in response to this message results in an attempt to load Second Life. Components missing from the display panel (vbo check box) If you receive an error message similar to: "the following components missing from display panel-------------- vbo check box" you need to uninstall all versions of Second Life currently on your system, and then reinstall. More detailed instructions can be found in this article. "Unable to find a valid certificate" or "Unable to establish a secure connection to the login server" Your local network may be blocking secure logins. It's also possible (but comparatively rare) that your secure login is failing due to an incorrect date/time on your computer. To verify, double-click the clock in the Windows taskbar (usually in the lower-right corner of the screen). On a Mac, check your Date & Time. Make sure it's not a year off! Most modern computers can set their time automatically, including daylight savings. Be sure a firewall or Internet security isn't blocking Second Life access. If you're on an office or university network, your network administrator may have secure logins disabled. In this case, you may not be able to use Second Life on that network connection. See Using Second Life with a firewall for more information. Computer's clock is set incorrectly The full error reads: Unable to connect to Second Life. Often this means that your computer's clock is set incorrectly. Please go to Control Panels and make sure the time and date are set correctly. This message refers to time-based sensitivities with security certificates but normally isn't a problem, as you can test for yourself by deliberately setting your computer to the wrong time and trying to login. It should work. If you're absolutely certain your time is set correctly, you haven't changed your system setup, and Second Life was working fine moments before, it's likely a transient problem with our servers. Check the Grid Status Reports page for news and try to login periodically. If you continue to get this message after logins are again working reliably for other Residents, contact Support. Invalid certificate due to malware In rare cases, malware may affect the security certificate and cause this error message. You can confirm Second Life's security certificate by following these steps: Launch the Chrome web browser. Navigate to https://secondlife.com. Log into the Second Life website. Once logged in, click on the padlock icon at the top left of the browser, in the URL entry field. After clicking the padlock, click Certificate and check the following information: The correct Second Life certificate (as of December 4, 2018) is: Issued to: secondlife.com Issued by: DigiCert Valid from: October 5, 2017 Valid to: October 21, 2019 If the certificate does not match this information, run a full virus scan on your computer and then re-check the certificate. If the certificate claims to be issued by McAfee or Symantec, you may be able to resolve your login issue by adding SecondLifeViewer.exe to your antivirus software's whitelist. Second Life fails to load and displays an error regarding DINPUT8.DLL This usually means that Microsoft's DirectX is not installed properly, or is an older version. To fix this, install DirectX 9.0. You can download DirectX at Microsoft's website. Motherboard or AGP drivers out of date The software that controls the core components of the computer, particularly the slot the graphics card is plugged into, is out of date and needs updating. You should be able to update your motherboard/chipset/AGP drivers. If you purchased your computer from a retailer, such as HP, Dell, or eMachines, you can obtain drivers at the manufacturer's website. If your computer was home-assembled, check your motherboard manufacturer's website for the most recent drivers. If you don't know what motherboard you have, you have two options: Second Life creates a log file (located in C:\Documents and Settings\<your user name>\Application Data\Second Life\Logs) that you can use to identify the manufacturer of your AGP chipset. You can find chipset drivers for the most common manufacturers at the following links:nVidia nForce Chipset DriversVIA Chipset DriversSiS Chipset DriversIntel Graphics Chipset Drivers Download WCPUID. (This application is not supported by Linden Lab!) After unzipping WCPUID to a directory, run wcpuid.exe (it may show up for you as simply wcpuid). Select View > System Info. When the Select Access Type window pops up, select TYPE 1 and click OK. The relevant information is under Manufacturer, Product String and Version String. At this point, you should be able to search Google for the information contained within Product String. You may not find a direct link to your motherboard manufacturer's site, but you should find a specific name for the motherboard if Product String was a code. You can then use that name to find your motherboard manufacturer's support site. If you're unsure what to do at this stage, post to the Technical Issues Forum. Be sure to mention your computer's specifications, including manufacturer model number (if it's a prebuilt system like an HP or Dell, or if it's a laptop) or the information WCPUID produced in the Manufacturer, Product String and Version String fields. "Verifying Protocol Version," "Cannot resolve domain name," or "Cannot find server" This problem usually takes the form of Second Life... Gets to Verifying Protocol Version and stops. Says it Cannot resolve domain name. Says it Cannot find server someservername.lindenlab.com. This error usually means that Second Life's network connection is completely blocked by your computer or your local network setup. In the vast majority of cases, this means that a firewall (such as your router), firewall software, or internet security software is blocking Second Life's network access. (Firewalls and internet security software frequently block most network uses that are not web browsers, instant messengers, etc.) If you're running a firewall or firewall/internet security software, you may have to reconfigure or disable it to use Second Life. If you're using wireless networking, you may need to use a wired connection. If you're on a business or university internet connection, you may need to contact your network administrator to verify that you can make non-web connections to the Internet. Specifically, you need to make both UDP and TCP connections inbound and outbound, on network ports 443 and 12020 to 13050. Can't run full screen, Can't run with a specific resolution, or can't run with 32-bit color Unfortunately, these error messages usually mean your graphics card isn't compatible with Second Life. If you've checked your graphics card and it is compatible, try updating its drivers. If your graphics card is listed as compatible, and you have the latest drivers, try these steps: Check Display settings: Right-click any empty space on your desktop and choose Properties.OR, open the Control Panel, then open Display. Click on the Settings tab. The Color Quality box should read Highest (32-bit). If it does not, change it to Highest (32-bit) and click OK. The Resolution should be at least the resolution Second Life is trying to run at. (In most cases, you probably want it higher, like 1024x768 or 1280x1024.) Check Windows Program Compatibility settings: Right-click the Second Life Icon and choose Properties. Go to the Compatibility tab. Make sure everything is unchecked. I´m having HUGE problems to shoot my viewers, they connect but i never reach the base or any other place. Do you know if theres any issue with the grid? its been 2 hours since ive been trying! Thanks !! Starting with Second Life Viewer 4.0, the internal web browser of the Second Life Viewer has been updated to use the Chromium Embedded Framework. This allows content creators to use a much wider array of web technologies in their products for Second Life, including Adobe Flash. However, in order to use Flash in the Second Life Viewer, you must first install a specific version of the Adobe Flash Player on your computer. Installing the Adobe Flash Player for use with Second Life To install the Adobe Flash Player on your computer for use with Second Life: Make sure that plugins are enabled in the Second Life Viewer by choosing Me > Preferences from the top menu bar, then clicking the Setup tab of the Preferences window. Enable plugins should be checked. Visit http://get.adobe.com/flashplayer/otherversions/ using your web browser. Under Step 1, select your operating system. Under Step 2, select FP 20 for Opera and Chromium - PPAPI. Click the Download now button to download the Flash Player installer. Run the Adobe Flash Player installer and follow the instructions onscreen to complete the installation. Restart the Second Life Viewer. You may now view Flash content in the Second Life Viewer's web browser, and on Shared Media-enabled objects in the Second Life world. Note: At this time, it is not possible to play embedded .mp4 files in Second Life using the Chromium Embedded Framework. No build land Download queue for region stuck Scripted objects are too far away Other solutions To rez an object is to create it using the build tools or make it appear inworld by dragging it from your inventory. If you are having trouble rezzing an object from your inventory, there may be several possible causes, addressed in this article. No build land If you are unable to rez an object, the land you are dropping the object may not allow building. Note that building restrictions may be set by landowners on a per-parcel or per-region basis. When you are on no build land, a small icon appears in the Viewer's location bar: . If you see this icon, try moving to a different parcel or region that does allow building. Download queue for region stuck When you drop an item inword from your inventory, the object is placed in a queue to be downloaded from Linden Lab's central file server. If the size of this queue is very large, downloads may be extremely slow or altgteher interrupted. To see the size of the download queue: Enable the Advanced menu: World > Show > Advanced Menu. Select Advanced > Performance Tools > Statistics Bar. Click Advanced in the STATISTICS bar and scroll down to Pending Downloads (in the Simulator section). If the Pending Downloads number is high, try moving to another region. If the number falling, or zero, this is not the problem. If your download queue is high and never falls, please file a support ticket. Scripted objects are too far away Some scripted objects do not appear if you are too far away, even if they are within your viewer's draw distance. If the object you are trying to view has a script in it, try moving closer to it until it appears. Other solutions Here are a few more things to try if you cannot see inventory objects inworld: Choose Me > Preferences. The PREFERENCES window opens. Click the Graphics tab. Click the Advanced button. Move the Draw distance slider all the way to the left. Increase the Second Life Viewer's cache and bandwidth Choose Me > Preferences. The PREFERENCES window opens. Click the Advanced tab. Increase the Cache size. Click the Setup tab. Move the Maximum bandwith slider to the right. Important: Setting Maximum bandwidth too high can have adverse effects on your Second Life experience. Try increasing maximum bandwidth a little at a time. General tips for boosting performance The basics Optimize your preferences Don't display extraneous things Manage your antivirus software Troubleshooting tips Using the statistics bar General tips for boosting performance Tip: Maintain your computer by: Routinely removing unwanted files and programs from the system. Defragmenting your disk drive regularly. Using anti-Malware software to remove spyware, virues, and other malware. Follow the recommendations here to improve overall performance of Second Life and address many common problems. The basics Make sure your computer meets the Minimum system requirements. It's best to exceed them to prevent bottlenecks, since they are the bare minimum required to run Second Life. A slower processor, older video card, or low memory can contribute to slow frame rates. Make sure you have working drivers for your video card. Search the Second Life Community for posts on your video card. The latest driver is not always the best. Make sure your firewalls are properly configured. See Using Second Life with a firewall for more information. Check to see if your hard drive light is showing a lot of activity. If it is, your system may be running low on memory and using hard drive swap space instead, which is significantly slower. Based on statistics collected by Linden Lab: If you are using Windows 8, make sure you have upgraded to Windows 8.1. Our statistics show that Second Life crashes half as often on Windows 8.1 compared to Windows 8.0. If you are using Mac OSX, upgrade to 10.9.3. Our statistics show that 10.9.3 crashes one third less than 10.7.5. Use a 64-bit version of Windows if you can. Even though we don't offer a fully 64-bit viewer for Second Life as of July 2014, our statistics show that Second Life running on 64-bit operating systems crashes half as often as on 32-bit systems. Important: Second Life allows but does not support wireless connections. Always use a hardwired connection if possible. Optimize your display preferences Optimize your preferences to help Second Life run more efficiently. Try the following: Choose Me > Preferences Click on the Graphics tab. Move the Quality and speed slider to Low. Click the Advanced Settings button Move the settings on the Mesh detail sliders to "Mid" or "Low." Automatically playing music and media can be very demanding on some PC equipment. Use manual play instead: Choose Me > Preferences > Sound & Media Deselect Allow Media to auto-play. Review the rest of your preference settings disable any unused features: Choose Me > Preferences or press Ctrl-P). Try disabling settings such as Play typing animation, Name tags, and Arrow keys always move me. Even minor items can add up to significant improvements in performance. For more information, see Setting your preferences. Don't display extraneous things Make sure your Viewer is not displaying unnecessary information that may reduce performance: Choose World > Show> Advanced Menu. Choose Advanced > Highlighting and Visibility. Select Hide Particles. Also: Choose World > Show Disable Property Lines and Land Owners. This improves performance by eliminating gratuitous visual noise. Manage your antivirus software To prevent false cache virus alerts and improve texture cache performance, turn off virus scanning for the following directories and add them to the list of ignored (trusted) directories for Norton AntiVirus: The Second Life skins directory, C:\Program Files (x86)\SecondLifeViewer\skins. The Second Life cache directory. To determine this directory: Choose Me > Preferences. Choose the Advanced tab. Look for the Cache location setting. See also Technical overview of Second Life security. Troubleshooting tips If you followed the advice above and are still experiencing performance problems, try the following. Exit and restart Second Life. This often is enough to fix the problem. Clear the cache. The cache is where the Second Life Viewer stores data on your hard drive for later retrieval. To clear the cache: Choose Me > Preferences. Click the Advanced tab. Click Clear Cache. After you're prompted, restart the Viewer. Check the Lag Meter: Choose Advanced > Performance Tools > Lag Meter. The lag meter breaks lag down into Client, Network, and Server lag, with corresponding indicators for each lag type. Click >> to reveal descriptions and advice for solving any lag problems you are having. Try teleporting to a quieter area or one with fewer objects, to see if the situation improves. Disable antialising. Check your Ping Sim and Packet Loss values: Choose Advanced > Performance Tools > Statistics Bar to open the STATISTICS window. The ping values are the time (in milliseconds) it takes to reach the server from your computer. If this number is high, it could indicate a problem with your network or internet connection. If Packet Loss is a nonzero number, your network or ISP may be having issues. See Using the statistics bar for more information. Check to see if there is anything blocking your computer's ventilation ports, and make sure all the fans are working properly. Laptops in particular can get quite hot when placed on a flat surface, so you may want to try propping yours on a stand to increase airflow, or consider buying a cooling device like a "chill mat". Finally, if you've overclocked or made other modifications to your computer, disable them until you can attain stability. You can use tools like Prime95 to stress-test your computer independently of Second Life. Using the statistics bar The statistics bar presents a detailed list of information about the performance of your computer and Second Life. While the sheer amount of information can be confusing, knowing what to look for can tell you a lot about what's going on in Second Life. To view the Statistics Bar, choose Advanced > Performance Tools > Statistics Bar. Definitions of the various statistics can be found on the Second Life Wiki at Viewerhelp:Statistics. Configuring your software firewall Norton Internet Security / Norton Firewall McAfee Personal Firewall ZoneAlarm Configuring your hardware firewall Using Second Life from a closed network The Proxy Settings window HTTP proxy SOCKS 5 proxy Other HTTP traffic Caveats If you are experiencing network issues with Second Life, a firewall is often the cause. Follow the steps below to configure your software and hardware firewalls properly for Second Life. Please note that Linden Lab cannot provide support for configurations in which a firewall or internet security software is interfering with Second Life's network access. Note: Firewalls and anti-virus software frequently block Second Life's auto-update utility from installing the newest version. You can always download the latest version of Second Life at http://secondlife.com/download. Configuring your software firewall Software firewalls should list Second Life as a trusted program. We highly recommend turning on notifications for any blocked network activity. You should frequently monitor your software firewall settings, as some versions automatically update settings to provide tighter security. Consult the documentation for your software or visit the manufacturer's website for details on how to configure your internet security software. Linden Lab cannot provide support for third-party software. Don't forget the built-in Windows Firewall; certain system updates may cause the Windows Firewall to re-enable itself. You can find the Windows Firewall in the Control Panel, under Security Center. Norton Internet Security / Norton Firewall Start Norton Internet Security or Norton Personal Firewall. In the main program window, click Personal Firewall. Click Configure. The Personal Firewall configuration dialog box appears. On the Programs tab, the Manual Program Control list contains a list of programs. Click on the rule(s) for Second Life. Click Remove. Click OK to confirm the removal. Click Add and manually navigate to C:\Program Files\SecondLife\Secondlife.exe Tip: Turning off Internet Worm Protection can also help. Link to Symantec for Norton product configuration. McAfee Personal Firewall Open the Personal Firewall and navigate to Internet Applications. Click on any listing(s) for Second Life and choose Delete Application Rule on the lower right. Click on New Allowed Application underneath the program list, and navigate to C:\Program Files\SecondLife\Secondlife.exe Additional helpful settings: Turn off Smart Recommendations. Turn on Show Red and Green Alerts, or Show All Alerts. Set the Security Level to Standard or lower. ZoneAlarm In the Programs panel, remove any entry for Second Life. Scroll down to the white area at the bottom of the programs list. Right-click and highlight Add Program. Browse to C:\Program Files\SecondLife\Secondlife.exe and click Open. Additional helpful settings: Set Security for the Internet zone to Medium or lower. Open the specific ports Second Life uses (see above) under Firewall > Main > Internet Zone Custom Settings. Many ZoneAlarm products include an AntiSpyware tool that detects some programs as a Remote Access Tool. These programs are quarantined by default. To set Second Life as a trusted program: Go to AntiSpyware advanced settings and set it to not automatically treat infections. Run the AntiSpyware scan. Locate Second Life. Choose Always Ignore. You may then set AntiSpyware back to automatically treat. Configuring your hardware firewall Although the details depend on your specific firewall, follow this general procedure: Open outbound access for TCP ports - Second Life servers do not establish inbound TCP connections to client systems running the Second Life Viewer software. Instead, they use the "request / response" message pattern. Enable outbound TCP access for ports 53, 80, 443, 12043, 12046 and 21002. Open outbound "session" access for UDP ports- Although UDP is a session-less transport, many firewalls block unsolicited incoming UDP traffic to a particular port unless it has seen recent outgoing UDP traffic from that same port. Activate outbound UDP for ports 53, 3478, 3479, 5060, 5062, and 12000-29999. Monitor - The intricacies of modern firewalls make it difficult for one document to cover every network configuration. Use tools such as ntop and nprobe to monitor network flow between the Second Life Viewer and servers to identify network flows blocked by the firewall. Using Second Life from a closed network To access Second Life from inside a closed network, such as at an academic institution or corporate office, you may need to configure Second Life to route its traffic through designated proxy servers. Proxy servers allow Second Life to communicate with critical resources outside a closed network. Note: Many schools and companies maintain proxy servers specifically for this purpose. If you need to connect to Second Life through a proxy server, contact your network administrator for the addresses, port numbers, and necessary credentials to complete the instructions below. The Proxy Settings window Second Life allows you to configure two types of proxy servers in order to route three distinct types of traffic necessary for connecting to and properly experiencing Second Life. To access the Proxy Settings window: Choose Me > Preferences from the top menu bar. Click the Setup tab of the PREFERENCES window. Click the Adjust proxy settings button to open the Proxy Settings window. HTTP proxy The HTTP proxy is specifically for routing HTTP traffic meant to be viewed inworld via the Media Browser or Shared Media (and potentially "other" HTTP traffic). It is not necessary to set up this proxy in order to connect to Second Life from inside a closed network, but you will not have access to web content. If you need to set up an HTTP proxy for your normal web browser, you probably need to set up an HTTP proxy for Second Life as well. To configure an HTTP proxy for web pages in the Proxy Settings window: Check Use HTTP Proxy for Web pages Enter the HTTP proxy's network address and port number in the HTTP Proxy: and Port number: fields, respectively. SOCKS 5 proxy The SOCKS proxy is responsible for routing UDP traffic (and potentially "other" HTTP traffic) between Second Life and resources outside your closed network. If you are on a closed network, such as at a school or corporate office, you must configure a SOCKS proxy in order to connect to Second Life. To configure a SOCKS 5 proxy for UDP traffic in the Proxy Settings window: Check Use SOCKS 5 Proxy for UDP traffic Enter the SOCKS 5 proxy's network address and port number in the SOCKS 5 Proxy: and Port number: fields, respectively. If your SOCKS proxy does not require authentication, you're done! If your SOCKS proxy does require authentication, choose the Username/Password radio button under SOCKS Authentication and enter your user name and password in the marked fields. Other HTTP traffic In addition to web and UDP traffic, Second Life uses HTTP for a few other purposes, such as loading your inventory and loading textures on objects. You may choose to route this "other" HTTP traffic through either an HTTP proxy or SOCKS 5 proxy. If you have configured both types of proxies, try experimenting with each to figure out which one provides the best inventory and texture loading speeds. To select a proxy for other HTTP traffic, choose from one of the available radio buttons under Other HTTP traffic proxy in the Proxy Settings window. You cannot select a proxy you have not yet configured. Caveats Proxy servers do not currently aid the following features in getting through your network's firewall: Voice chat. You may still be able to use voice chat by forwarding the necessary ports as described above in Configuring your hardware firewall. The automatic updater. The crash logger. If your avatar looks like a particle cloud If your avatar appears discolored or misshapen Additional helpful techniques This article describes some common problems with avatar appearance and how to address them. If your avatar looks like a particle cloud In Second Life Viewer version 1.20 and later, you appear as a particle cloud while your avatar is loading. This may also happen when some information about you gets lost on the way from one place to another. Don't worry, you aren't stuck this way forever! (You may sometimes hear people refer to an incompletely loaded avatar as "Ruth" or "being Ruthed" for historical reasons.) Follow these steps to restore your avatar to its normal appearance: Choose Me > Preferences > Graphics. Move the Quality and speed slider to the left (a lower setting). Click the Advanced button. Move the Draw distance slider to the left. Move the Mesh detail slider for Avatars to Low. Avatar impostors is checked by default. If you have unchecked it, enable this feature again. If your avatar appears discolored or misshapen If your avatar appears in strange, unintended colors or shows spikes, bumps, or other unsightly protrusions coming out of its body, check your graphics card to make sure it is supported and that the drivers are up to date. Learn more about graphics cards. If the problem persists: Go to Me > Preferences > Graphics tab. Click the Advanced button to show additional options. Uncheck Hardware skinning. Click OK to confirm. You may also need to restart the Viewer. Additional helpful techniques Try these from the top until one works: Quit and restart the Second Life Viewer (also called "relogging"). Right-click yourself and choose Edit My Outfit (don't save anything). In the APPEARANCE window, click the Back (<) button. Rebake textures by following these steps: Choose Me > Preferences > Advanced. Select Show Advanced Menu. Choose Advanced > Rebake Textures. Open your Inventory and enter a charcater (like a) in the Filter Inventory field. The number of items displayed in the top left of the INVENTORY window will increase as the servers fetch your inventory. Wait until the number stops increasing (this might take some time, depending on how much stuff you have), then relog. Re-wear your normal shape, skin, clothes, and attachments. This step is much easier if you are using a pre-existing saved outfit, but remember not to save anything before your avatar is restored! Clear the Second Life Viewer's cache. Use the avatar picker to access and wear a default avatar. Simply click the Avatar button on the toolbar and choose from an extensive collection of vampires, humans, animals, robots and vehicles. Tip: Freebie clothing or old clothing and shapes can have performance issues in Second Life. Changing clothes and shapes often solves the problem. Reporting bugs and requesting features Reporting security issues Finding log files Windows Mac Linux Types of diagnostic log files Getting your system information Also important See also Reporting bugs and requesting features Found a bug or want to request a new feature? Help us make improve your Second Life experience by reporting it on the Bug Tracker! Tip: Before you file a report, check the release notes for what's new in Second Life. Release notes highlight features and bug fixes, as well as as known issues. If you are reporting a Marketplace bug, Check the "Most Popular" Marketplace issues and search to see if your issue has already been reported. If you've never filed a bug or feature request on the Bug Tracker before, please read some helpful notes here. Go to the Bug Tracker at jira.secondlife.com. In the upper-right hand, click Log In. (This site is owned by Linden Lab, so you'll see the usual web login form.) Click +Create Issue in the upper-right. Choose the BUG Project. Fill in the rest of the details to the best of your knowledge. If you're able to provide pictures in addition to text, even better. Click Create at the bottom. Bookmark your issue for future reference! You can always come back and add additional details, too. Below is a diagram of the bug tracker workflow: Reporting security issues Important: Issues pertaining to the security of Second Life should be reported to Linden Lab using only the procedures described below. Please help us keep Second Life secure by ensuring that possible security exploits aren't broadly advertised. If an issue poses any of the following threats to Second Life, its Residents or content, then it is an exploit and should be reported: Exposes real life Resident identity without consent. Destroys content. Permits unauthorized access to Second Life/Linden Lab resources. Compromises a client or server host subjecting it to remote control. When reporting an exploit, please provide as much detail as possible, Including the environment used (e.g. Windows XP Service Pack 2, Nvidia 6800 etc ) and the complete reproduction case. Linden Lab offers a L$10,000 bounty for each previously unknown exploit that can be verified. Please report issues as soon as they are discovered! Filing issues There are two ways to file security reports: In the SEC project on jira.secondlife.com (PREFERRED). It's VERY IMPORTANT that you file issues in the SEC project, which is the only project set up so that only the reporter and Linden Lab can view the issue. Via email: security@lindenlab.com. Warning: The SEC project (and security mailing list) is ONLY for reporting security exploits that might compromise a Residents identity or the Second Life Grid. All other requests including account issues and account security via this address will not be addressed. Finding log files Diagnostic logs, including crash logs, are an important tool for debugging Second Life Viewer problems. Occasionally, our Support team may ask you to provide diagnostic logs while helping you with a support ticket. To find your diagnostic log files, locate the SecondLife folder which contains the logs folder. Its location depends on your platform. See the "User settings" page for instructions. Once you have found the folder, follow the instructions specific to your platform: Windows The folder is usually located at C:\Users\<username>\AppData\Roaming. If you install Second Life in a different location, the path is different. In any case, to get to the right place: In Windows Explorer, click the Start Button. In the search field (in Windows 7, it's labeled "Search programs and files", in Windows Vista, it's labeled "Start Search", and in Windows 10 you can access it by right-clicking the Start Button and choosing Search), type %appdata% and press Enter ↵. In the window that appears, open the SecondLife folder. Inside the Second Life folder, right-click the logs folder and choose Send to > Compressed (zipped) folder to create the new file logs.zip in the SecondLife folder. Attach logs.zip to your Jira bug tracker issue by choosing More Actions > Attach files in Jira. Mac The logs folder is located at: /Users/<username>/Library/Application Support/SecondLife/logs. Compress the logs folder and attach it to your Jira bug tracker issue by choosing More Actions > Attach files in Jira. To compress the logs folder, hold Shift while highlighting the contents of the logs folder and then Ctrl-click and choose Compress Items. In addition to the Viewer's own crash reporting, there's also: A general Mac OS X tool called Crash Reporter. More technical details. A System Profilerreport, which contains all of the necessary data about your computer and the hardware inside of it. This is useful for Linden Lab to group problems with similar hardware. In the Finder, choose Apple menu > About This Mac. Click the More Info button to open the System Profiler. In the System Profile, choose File > Save. Give the file a unique name so you can find it later, then attach it to your Issue Tracker bug report. Also see "Bug Reporting Best Practices" from Apple. Linux The folder is located at ~/.secondlife - it's a hidden folder (the folder name begins with a dot) and it's inside the user home folder. To get here: Open your file manager Go to your home folder If needed, enable "Show Hidden Files and Directories" or a similar option in your file manager Open the .secondlife folder Inside the .secondlife folder, compress the logs folder and attach it to your Jira bug tracker issue by choosing More Actions > Attach files in Jira. To compress the logs folder in Gnome, Right-click the folder and choose Compress. In the Linux shell, you can compress the folder with the command: tar -cjvf "Viewer_logs.tar.bz2" ./logs/ Types of diagnostic log files The Viewer creates the following list of log files in the logs folder where user data is stored. These are used for normal application logging, crash reporting, and so on: SecondLife.log - Stores status and debugging output from the Viewer. This file continues to grow while Second Life is active and tends to become large. If it gets too large, it is trimmed by the crash logging application. SecondLife.old - Upon initialization of logging for a Viewer session, the Viewer renames the existing SecondLife.log to SecondLife.old. SecondLife.old is used when the Viewer reports a freeze in the previous execution. crashreport.log - Logs the last time the crash reporter need to to upload Viewer crash information. crash_table.lock - Tracks the process IDs of currently running Viewers, such that if one Viewer crashes, crash data is sent the next time the Viewer is run. SecondLife.start_marker - A marker file that should only live as long as the Viewer is running. dump-[UUID] - A folder that exists when the Viewer is either running or has crashed. It contains log files with information that does not need to be written immediately at the time of a crash, in order to lighten the load of the crash reporting tool and increase the likelihood of a successful crash report. Getting your system information Getting your system info is important to diagnose problems and answer questions like: What Viewer version am I running? What graphics card do I have? My connection feels laggy, am I experiencing bad packet loss? Here's how to do it: In the Viewer, go to Help menu > About Second Life. You can do this from the login screen, before logging into Second Life, although certain info like present region and packet loss is only shown when you're inworld. Click the Info tab (if it isn't already selected). Click Copy to Clipboard button at the bottom. Paste the info into a text field (like on the Bug Tracker, forum post, support ticket and so on) by using Edit menu > Paste. Or use a shortcut: Ctrl+V (PC) or Cmd ?+V (Mac). Also important This is written with Second Life Answers in mind, but broadly applies when asking for technical help: Did you see an error message? Provide the exact text, or take a screenshot. Did someone solve your problem? Let them know — a "thank you" can make them feel appreciated, and followup helps others in a similar situation who are searching for answers. See also System Requirements details Supported Viewers Operating systems also have their own tools for getting your system info. Opening a support case Opening a support case for a billing issue Billing support Case history How to report an offline region In other languages: Deutsch Français Español Opening a support case If you have an issue you cannot resolve by searching the Community Knowledge Base, Forums, and Answers, then you can open a support case. Use the link above, or click on Contact Support in the support portal, as shown at right. Then choose Submit a Support Case form. Opening a support case for a billing issue Important: When filing a support case, please supply as much relevant information as possible, to better enable us to help you. To open a support case for a billing issue, go to the Submit a Case page. Under What type of problem are you having?, choose Billing. Then select either: LindeX Billing and Trading Limits Review Request. Second Life and Marketplace Account balance Payout Issues. Fill in information describing your issue in the form fields then click Submit. Premium accounts If you have a premium account or qualify for Concierge-level service, you can submit tickets for additional types of billing issues. Select the description that best fits your problem, fill in additional information in the form, then click Submit. Premium and Concierge accounts are also eligible to use live chat support. Billing support Important: For billing issues only, phone support is available. See Billing Support; you can also get to this page by clicking Billing Issues on the support portal. All users regardless of membership level are entitled to direct billing support. Case history To check on the status of a case you have previously opened, view your case history. How to report an offline region "This region is offline." "The simulator is offline." "Region not available." "We've got a sim down!" No matter how you put it, it's the same thing: sometimes a region will go offline, rendering it inaccessible. The reasons are many and various. The important thing is to report it so that Linden Lab can correct the situation. Note: Remember to check the Status Blog — Linden Lab might already be aware of the issue, in which case we're working to fix it. To report a region as offline, submit a support case. Both basic and premium account holders can submit cases for this particular problem: Under What type of problem are you having?, select Land & Region. Under Land & Region, select Report an offline Region. Enter the region's name and any other pertinent information, such as anything unusual observed before the region went offline Click Submit. Linden Lab will address the report as soon as possible. What is the Statistics Bar? Basic Advanced Render Texture Network Simulator Time What is the Statistics Bar? The Statistics bar presents a detailed list of information about the performance of your computer and the Second Life world. While the sheer amount of information can be confusing, knowing what to look for can tell you a lot about what's going on in Second Life. To view the Statistics Bar, choose View > Statistics Bar. Basic Displays basic information about your Second Life performance. Click on the word Basic to hide or display this panel. FPS: The number of times per second your computer is redrawing(or refreshing) what's on the screen. Higher numbers are better. A framerate between 15-30 frames per second (FPS) is about as smooth as broadcast television. Bandwidth: How much data is being transferred between your computer and the Second Life world. This number varies wildly depending on what bandwidth settings you've used, where you are inworld, what's going on, and whether you're still loading some things (objects/textures/etc) that are in your field of view. If bandwidth is 0kbps, something may be wrong (you may be partially disconnected). Packet Loss: The amount of data being lost as it travels between your computer and the server. Any nonzero packet loss is bad; packetloss above 10% is very bad. Packet loss might be caused by a dying server (in which case everyone in the region would be experiencing it), a bad connection between you and Second Life (possibly a bad router between your ISP and Second Life, or congestion at your ISP), or problems on your local network (wireless networking, or internet security or firewall software on your computer). Ping Sim: How long it takes data to go from your computer to the region you're currently in. This is largely dependent on your connection to the Internet. If Ping Sim is high but Ping User is not, the server might be having problems. Advanced Displays lots of nitty-gritty details about your Second Life performance. Most of these details are less useful than Basic or Simulator. Click on the word Advanced to hide or display this panel. Render Displays information related to drawing the Second Life world. KTris Drawn: (per frame) Computer-generated 3D objects are built out of triangles (the basic geometric shape). This is a count of the number of triangles, or "tris", in each frame of the current scene. KTris Drawn: (per second) This is a count of the number of triangles ("tris") drawn every second. 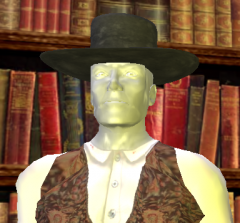 Total Objs: The number of objects currently in view, which includes: Prims Avatars Terrain patches Trees Particle groups Water patches New Objs: The number of objects being downloaded per second. Texture Detailed information on the textures currently in use. Click on the word Texture to hide or display this panel. Count: The number of unique textures loaded by the viewer. Raw Count: The number of textures loaded by the viewer that have been paged out (exist in application memory and not driver memory). GL Mem: The amount of driver memory consumed by textures. Formatted Mem: Raw Mem: The amount of application memory consumed by textures. Bound Mem: The memory size of all textures bound for rendering per frame. Network Information coming soon! Simulator Displays statistics for the region (simulator) you're currently in. Click on the word Simulator to hide or display this panel. NOTE: an "agent" is either a user in a given region (a "main agent") or a user in a neighboring region (a "child agent"). Any user who can see objects inside a simulator region increases the load on that simulator. The nominal values below are for simulators running on a single simulator per CPU. On other simulators (such as water simulators), these number will be different. Time Dilation - The physics simulation rate relative to realtime. 1.0 means that the simulator is running at full speed; 0.5 means that physics are running at half-speed. Sim FPS - The simulator frame rate. This should now always be the same as the physics frame rate -- 45.0 when things are running well. Physics FPS - The frame rate at which the physics engine is running. This should normally be at or near 45.0. Agent Updates/Sec - The rate at which agents on this simulator are being updated. Normally 20 updates a second, this will decrease if the simulator has a large number of agents on it. Main Agents - The number of agents (users) who are on this simulator. Child Agents - The number of agents who are not on this simulator, but can see it. Objects - The total number of primitives on the simulator. This value does not include primitives being worn as attachments. Active Objects - The number of objects containing active scripts on the simulator. This value does not include scripts inside attachments, unless the attachment wearer is sitting on a scripted object. Active Scripts - The number of running scripts that are currently on the simulator, including scripts attached to agents and objects. Script Perf - Number of LSL opcodes being executed a second by the simulator. Note that this is the number of ACTUAL instructions executed in the last second, not the theoretical maximum opcodes/second. If your simulator is not running very many scripts, this number will be low even if performance is good. Packets In - UDP packets being received by the simulator. Packets Out - UDP packets being sent by the simulator. Pending Downloads - Number of asset downloads to the simulator that are pending. If this is greater than 1, this means that you may see delays in viewing notecards or scripts, and rezzing objects. Pending Uploads - Number of current uploads of asset data pending. If this number is non-zero, this means that there may be performance issues when attempting to teleport. Total Unacked Bytes - The size of the reliable packet data sitting on the server waiting to be acknowledged. A large number may indicate a thin pipe or other possible problems between the viewer and the sim. Time The following are the different times listed in the Time section of the Statistics bar. Click Time to hide or display this panel. Total Frame Time - The sum of all time values listed below it, this measures how much time it takes the simulator to run everything that the simulator is trying to do each frame. < 22 ms - The simulator is healthy, everything is running as fast as it can, and more scripts can be added without reducing the performance of individual scripts. approx. 22 ms - The simulator is healthy, but there are probably a lot of scripts and agents on the simulator, meaning that script execution is being slowed down in order to maintain the simulator frame rate. > 22 ms - The simulator is experiencing severe load, either due to physics or a large number of agents, such that even by slowing down script execution it is impossible to compensate. The simulator frame rate has been reduced as a result. Net Time - The amount of time spent responding to incoming network data. Sim Time (Physics) - The amount of time that frame spent running physics simulations. In general, this should be less than 5 milliseconds. Sim Time (Other) - The amount of time that frame spent running other simulations (agent movement, weather simulation, etc.) Agent Time - The amount of time spent updating and transmitting object data to the agents. Images Time - The amount of time spent updating and transmitting image data to the agents. Script Time - The amount of time spent running scripts. Note: The 'Script Time' reported here is the total time slot the server used to run all scripts, so it includes lots of overhead when compared to the Estate tool, Top Scripts. Error messages Waiting for region handshake Your account is not accessible until (date/time) You cannot log into Second Life from this location DNS could not resolve the host name Possible causes Linden Lab may have temporarily restricted all logins Wrong password Account disabled due to delinquency Account on hold due to disciplinary action The system is logging you out What to do Change your login location In other languages: Deutsch Español Français Italiano 日本語 Português Русский Türkçe This article helps you identify your problem and choose an appropriate solution. Before you start troubleshooting: First check Second Life grid status to make sure there are currently no known issues that prevent login. Error messages If you can't log in to Second Life, the error message may indicate the source of the issue. Waiting for region handshake The "Waiting for Region Handshake" message occurs when the Second Life Viewer does not receive an acknowledgement from the server. The usual cause of this error is a firewall blocking UDP packets. Reconfigure your firewall to resolve this problem. For information on how to configure firewalls, see: Using Second Life with a firewall. Your account is not accessible until (date/time) If the error states that you are already logging in (or out), then Second Life is still attempting to log out your avatar. Close Second Life, wait fifteen minutes, then attempt to log in again. If you see this error message: Login failed; Your account is not accessible until (date/time) — this usually means that your Second Life account has been administratively blocked. Short-term blocks (less than an hour) may be the result of inappropriate behavior inworld. Longer blocks are typically the result of abuse. You will be unable to use Second Life until the indicated time; if that is more than an hour away, you will receive an email from the abuse team on the matter. Be sure to check your spam filters. Linden Lab is unable to remove administrative blocks for abuse. You cannot log into Second Life from this location This error message may also appear as: Login failed. Second Life cannot be accessed from this computer. These messages generally indicate you have been blocked from the Second Life servers by Linden Lab as the result of: Documented cases of fraud Use of Second Life by a minor Exceptionally flagrant abuse activity Note that someone else in your household may be responsible for this activity, not necessariliy with your account. If you believe that this is an error, submit a support ticket via the support portal. To help customer support determine what block has been placed and why, include in the ticket your Second Life account name and any Second Life accounts that log in from your location. DNS could not resolve the host name This error may also appear as: Host http not found Login failed. Unable to connect to a simulator. These messages indicate that your computer has a general networking issue with the domain name service (DNS) that translates numerical IP addresses into human-readable ones. Confirm that you can reach internet sites such as secondlife.com, Google, or others. Once your computer can connect to these websites, this error should no longer occur. Also check whether there is a wider issue with Second Life, as described below. Usually, restarting your computer and your router will resolve this issue. If not, contact your internet service provider. You may also wish to try using Google's DNS servers to see if that will resolve the issue. See Using Google Public DNS for more information. Possible causes Linden Lab may have temporarily restricted all logins Linden Lab occasionally restricts access to Second Life when its servers experience severe technical difficulties or require major maintenance. These outages affect all Residents and are not limited to your computer or account. Check the status of the Second Life at http://status.secondlifegrid.net. This page lists any known issues. Wrong password Incorrect passwords are a common cause of login failure. Passwords are case-sensitive, so remember to check Caps Lock if you know you entered your password correctly. If you've forgotten your user name or password, follow the instructions in Account credentials to retrieve it. Account disabled due to delinquency If you do not pay your tier or private Region fees in a timely fashion, your account and your alternate accounts may be disabled for delinquency. For more information, see Delinquency Policy. Account on hold due to disciplinary action If we find that a Resident has broken our Terms of Service, Community Standards, or other policies, we may place that Resident's account on hold as a disciplinary measure. When we place an account on hold in this way, we send an email to the account holder at the address registered to that account. Important: Make sure you add "secondlife.com" and "lindenlab.com" to your email client's trusted senders list to prevent our messages from getting marked as spam or junk mail. The system is logging you out Your previous session must be logged out before you can get back into Second Life. Sometimes, usually after a recent logout or crash, Second Life mistakenly thinks you are still logged in. If you receive a login failure message stating that "The system is logging you out...," try waiting a few minutes before logging in again. If you continue to receive this message, you may be a victim of "stuck presence," which can be fixed by restarting the region in which your avatar is stuck. Residents with premium or Concierge level accounts may request a region restart via live chat, ticket submission, or phone support. Basic accounts do not have access to avatar-level support at this time. What to do If you're not sure why you can't log in, try these things: Double-check your username and password. If you continue to receive an error message, try logging into the Second Life website. If you are unable to log into the website, the problem is likely to be your username or password. Follow the Forgot your login information? instructions on the website to reset your password. Change your login location to a different region. See below for instructions on how to do this. Restart your computer, modem, and router. When restarting, make sure to leave everything powered off for at least ten seconds before restarting. This step can often fix routing issues and other connection-related problems. If you are still unable to log in, premium and Concierge Residents may contact customer support via live chat, support cases (tickets), or telephone. Basic customers may file a support case. See How to contact customer support for more information. Change your login location A starting location field appears on the login screen; you may choose to log in at your last location, your home, or you may enter the name of any Region in order to attempt to log into that Region directly. (Optional): Set these preferences in order to enable your favorite locations in the dropdown on the login screen: Start Second Life. At the login screen, go to Me > Preferences. Click the General tab. Check the box marked Show favorite locations on login screen. Click OK.
Graphics card basics Cost What to do if you're having graphics problems Tip: If you want to learn about whole systems that run Second Life well, see choosing a computer! Graphics card basics Your graphics card (also called a video card) is the hardware that creates the images shown on your monitor. This card does much of the work involved in calculating and drawing the 3D world for applications like the Second Life Viewer. As a result, your graphics card plays a crucial part in your Second Life experience. To find out what kind of graphics you have, get your system info. Important: Make sure your graphics card is Second Life capable! If your card doesn't meet our System Requirements, you may not be able to use Second Life at all. Cost While prices around the world vary, these days you can easily find a graphics card that exceeds our Recommendations — one substantially above the minimum Requirements — for US$50-100. The Buying graphics cards page contains helpful suggestions from fellow Residents about where to purchase your card. What to do if you're having graphics problems Important: Always carefully follow the manufacturer's instructions. Consult the websites below for details and support. On Windows: ATI/AMD drivers NVIDIA drivers Intel drivers Apple integrates hardware and software more closely than Windows. Problems are less likely, but there are fewer revisions and workarounds (provided through Software Update). The following procedure, called a clean install, will often fix problems related to graphics cards and drivers: Download the latest graphics driver from the chipset manufacturer (ATI, Nvidia, or Intel), not the maker of your graphics card or computer. Save the file where you can easily find it, but do not install it yet. Run Windows Update and make sure your system is fully patched. Reboot your computer and enter Safe Mode by pressing F8 at the Windows logo screen. Uninstall your old video driver. On Windows XP use Control Panel > System > Hardware > Device Manager (steps will be different on other operating systems). Then open Display Adapters, right-click and choose Uninstall. Reboot your computer. If Windows displays a message that it found new hardware, do not let it automatically install drivers. Instead, run the installation program that you downloaded in step 1. Reboot your computer You should now have a clean version of your video driver. If this doesn't solve the problem, try searching the Issue Tracker for known issues. Note: Intel Extreme graphics are not compatible with Second Life. It may be possible for certain configurations of hardware and software to successfully run Second Life while using Intel Extreme graphics; however, these configurations are inherently unstable. Note about NVIDIA drivers NVIDIA graphics cards may cause driver-related problems. After installing the latest NVIDIA drivers, the Second Life® Viewer may crash with an error message that states: "Second Life is unable to run because your video card drivers did not install properly, are out of date, or are for unsupported hardware." This appears to be a problem with the NVIDIA drivers' initial installation: the first time the install process is run, something fails silently — a file or set of files doesn't copy properly, but the installer doesn't give you any notice that something went wrong. There is a solution: ensure that all of your applications are closed, and install the NVIDIA drivers again. For some reason, the drivers almost always install correctly the second time. If these steps do not solve your problem, please see NVIDIA's Driver Installation Hints. Note about Windows Vista Second Life requires that the Windows drivers for the system's graphics card fully support the OpenGL graphics standard. Any graphics card whose installed driver does not support OpenGL detects as a "GDI Generic" instead. This message means that Second Life has detected no hardware with OpenGL support. It's up to the graphics vendor (Nvidia or ATI) to provide drivers that support both OpenGL and your operating system. As of this writing, we have successfully run Second Life on Vista under several PCs equipped with Nvidia's Geforce graphics cards. If you receive this message under Vista, are running graphics hardware that meets our Minimum System Requirements, and can't find a driver provided by your graphics vendor that provides OpenGL support, you'll be unable to run Second Life under Windows Vista on that computer. What is a Third-Party Viewer (TPV)? I have a problem. Is it my viewer, or is it the service? Does this mean I have to switch viewers to get support? I have a problem that occurs on a specific Third-Party Viewer. What can I do? Example Contacting Second Life Support What is a Third-Party Viewer (TPV)? A Third-Party Viewer (TPV) is a piece of software created by individuals or groups other than Linden Lab which is used to access the Second Life service. 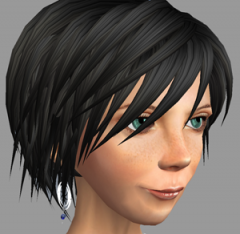 Examples include chat clients, programs to operate automated accounts (bots), or full-scale clients to interact with the Second Life service in much the same way that the official Second Life Viewer operates. Many Third-Party Viewers are listed in the Viewer Directory on the Second Life Wiki. Viewers listed in the directory must obey the Linden Lab Policy on Third-Party Viewers, which includes provisions to protect privacy and intellectual property rights. I have a problem. Is it my viewer, or is it the service? Identifying the source of a performance problem can sometimes be difficult. Problems can exist in the viewer, which runs on your computer, or with the service that the viewer connects to, including the servers and network infrastructure that run Second Life's virtual world. One relatively simple way to determine the source of a problem is to try to reproduce the issue on a different viewer. If a problem exists on two or more different viewers, either a Third-Party Viewer or the official Second Life Viewer, the issue is probably with the service or the network connection between your viewer and service -- both viewers connect to the same service by the same internet connection. If the problem continues to exist after switching viewers, this points to a problem in something those two viewers share -- in this case, the service or the connection. If only one of the viewers has the issue, then the problem is with the viewer and you should seek support from the organization that created that viewer. Does this mean I have to switch viewers to get support? You do not need to switch viewers in order to get support from Linden Lab. Our support staff frequently suggests to Residents experiencing performance problems that they should attempt to replicate the problem using a different viewer -- ideally, one that is significantly different from the one they are currently using. In most cases, we offer the official Second Life Viewer as an alternative because it is the most heavily documented and tested viewer available to our team for troubleshooting purposes. Switching viewers is a temporary diagnostic action; once the source of the problem is identified, Residents should be able to continue using their usual viewer of choice. If the performance problem is related to the Second Life service, a network issue, or can be reliably reproduced on multiple viewers, the Second Life support team can provide assistance. Often the quickest way to receive assistance with a performance issue is to visit our Support Portal for tutorials, Second Life Answers, and our Knowledge Base. Note: Premium and Concierge Residents have a variety of Support options available to them, including LiveChat with a Support Agent and expanded support case options. Visit our Support Portal for more information. I have a problem that occurs on a specific Third-Party Viewer. What can I do? Most Third-Party Viewer developers are extremely passionate and active about maintaining their work, and many offer support services for their viewer and code. Many TPVs are updated with bug fixes on a regular basis and developers frequently encourage feedback and bug reports to help improve their projects. The Viewer Directory has links to many of the developers' websites, which are the best place to find information specific to a Third-Party Viewer's issues. Many developer websites have forums, specific email addresses, and lists of known issues. Residents who prefer a Third-Party Viewer experience are encouraged to check their developer's website frequently for updates and important information. Example The Phoenix Firestorm project is a Third-Party Viewer developer whose primary goal is to improve the Second Life user experience with new features while extending usability, functionality and flexibility of the Viewer 3 code base. Their website at http://www.phoenixviewer.com/ has updates to current events, new features, and announcements of upcoming changes which may affect their users. They offer a support page for their viewer at http://www.phoenixviewer.com/support.php as well as information about how to contact volunteers and support staff inside Second Life and through their website. Contacting Second Life Support Many issues can be resolved by Residents themselves at the Second Life Support Portal -- often the quickest answers come from other experienced and helpful Residents through Second Life Answers or the Community Forums. When more in-depth support is required, the Second Life Support team is here to assist. When contacting Support, please be sure to include what steps you've already taken to address the problem. When filling out a Support case, please be as thorough and specific as possible in order to assist the Support Team in providing you with the help you need. To contact Support, please follow the instructions in the article: How to contact customer support. Graphical errors in the Second Life Viewer If you are running Second Life on a PC with an Intel HD 4000 graphics processor with outdated drivers, you may experience some or all of the following symptoms: Color corruption on buttons and floaters Flickering user interface (UI) components such as buttons and menus All inworld textures appear black when S3TC is enabled in the Hardware Settings section of the Graphics Preferences window Seemingly random or intermittent crashing while not performing a specific activity These issues may be resolved by downloading and installing the latest Intel HD 4000 driver from Intel's download center. Second Life crashes when logging out on a secondary monitor Second Life may crash when you try to log out while the Second Life Viewer is displayed on a secondary monitor. This issue only occurs when the viewer window is maximized; you can avoid this crash by either moving the viewer window to your primary monitor or unmaximizing the window before logging out. This issue may be resolved in a future update to the Intel HD 4000 graphics driver. En otros idiomas El Servicio de Soporte al cliente Si tienes un problema que no puedes solucionar usando la Base de Conocimientos, los Foros, o las Respuestas de la comunidad, puedes abrir un caso para solicitar soporte. Usa el enlace anterior, o pulsa -mira la imagen- Ponte en contacto con Soporte dentro del portal de ayuda. Allí, pulsa en enviar un formulario de casos de soporte. Soporte para facturación Importante: Sólo para problemas relacionados con la facturación, puedes acudir a Problemas de facturación; también puedes ir a esa página pulsando Problemas de facturación en el portal de ayuda. Historial de casos Para revisar el estado de un caso que hayas abierto, mira en tu Historial de casos. In other languages: Deutsch Français Español Si vous vous heurtez à un problème que vous ne pouvez pas résoudre en cherchant dans la Base de Connaissance de la Communauté, dans les forums et dans les Questions/Réponses, alors vous pouvez Soumettre une demande d'assistance. Utilisez le lien ci-dessus ou bien cliquez sur Contacter le Service consommateur dans la section Aide comme décrit ci-dessous. Ou bien, choisissez de Soumettre un ticket.﻿ Service de facturation Important : Uniquement dans le cas de problèmes de facturation, visitez le service de facturation; vous pouvez aussi y arriver en cliquant Problèmes de facturation sur le portail d'aide. Historique d'assistance Pour vérifier le statut d'une demande d'assistance effectuée précédemment, consultez votre historique d'assistance. Comment signaler une région hors ligne "La région est hors ligne." "Le simulateur est hors ligne." "La région n'est pas disponible." "Nous avons une sim qui a planté !" De quelque façon qu'on l'exprime, c'est la même chose : parfois une région passe hors ligne, la rendant inaccessible. Les raisons sont nombreuses et variées. Le plus important est de le signaler pour que Linden Lab puisse rétablir la situation. Note: Rappelez-vous de vérifier le Status Blog -- Il se peut que Linden Lab soit déjà au courant du problème, auquel cas nous serons déjà à travailler à la corriger. Pour signaler qu'une région est hors ligne, soumettez une demande d'assistance. Les comptes Premium et Basiques peuvent tous deux soumettre des demandes pour ce type de problèmes : Sous Quel type de problème rencontrez-vous ?, sélectionnez Terrains et régions. Sous Terrains et régions, sélectionnez Signalement d'une région hors ligne. Entrez le nom de la région et toute autre information pertinente, telle que des faits inhabituels survenus avant que la région ne soit hors ligne Cliquez sur Soumettre. Linden Lab s'occupera du problème aussi rapidement que possible. Wenn Sie auf ein Problem stoßen, für das Sie in der Community Knowledgebase, den Foren und Answers keine Lösung finden, dann können Sie einen Fall einreichen. In other languages: Deutsch Français Español Verwenden Sie den obigen Link oder klicken Sie, wie hier rechts zu sehen, im Hilfe-Portal auf Support kontaktieren. Anschließend füllen Sie das Formular "Fall einreichen" aus. Rechnungsfragen Wichtig: Ausschließlich für Probleme mit der Abrechnung steht Ihnen auch der Support für Rechnungsfragen zur Verfügung. Diesen erreichen Sie auch, wenn Sie im Hilfe-Portal auf Rechnungsfragen klicken. Support-Verlauf Zur Statusüberprüfung von Fällen, die Sie bereits erstellt haben, können Sie Ihren Support-Verlauf betrachten. So I'm trying to purchase a parcel of land that I've found. It's very weird but I'm wondering if there is a server or region issue at the moment. When I click on the land and select "buy", it says that everythings good re: tier, L$ etc, I click on the purchase button - then it double checks that I want to pay the amount to the owner of the land, I confirm that I do... and... nothing. No money is taken from me, no kerching sound, no purchased land, nothing. It on the " Second Life RC LeTigre" server. Tried it on SL Viewer and Firestorm just in case that made a difference. Any suggestions would be greatly appreciated! EDIT - It must have been a region issue, that's all I can think of - it's resolved itself now and I own the parcel. I think Second Life ruins my computer, how can I change this? Okay, to start this off, I've had SL on about six different computers over the course of seven years (2011). Any computer I've tried to play SL on goes through the same diagnosis: I download the game and enjoy it immensely over the course of several months. While I'm playing, a black box with white text blinks into existence and then closes itself before I can read it. This usually happens several times over the course of a couple weeks. My computer starts randomly turning off while SL is running. No bluescreen, just, *boop*, like someone flipped the off switch without my knowing. Random shutoff extends to even when SL isn't running. First maybe once every six hours or so, but increases in frequency, worsening until it shuts off every ten minutes. I have to wipe/replace my computer. For all these computers I used Windows. Some earlier computers were on Vista, but I now use Windows 7. My computers, save for my laptop which has since died, have always been a frankenstein of old and new parts. Is that the problem? Or am I getting a virus though SL somehow? What can I do to fix this and allow me to enjoy Second Life without putting my computer at risk. I don't know if it would be useful, but here is a screencap of my computer specs. This is a computer that I've had to wipe due to my latest SL endeavor. Hata mesajları Bölge el sıkışması bekleniyor Hesabınıza şu zamana kadar erişemeyeceksiniz (tarih/saat) Bu konumdan Second Life&apos;a erişemezsiniz DNS sunucu adını çözümleyemedi Muhtemel nedenler Linden Lab geçici olarak tüm oturum açma işlemlerini sınırlamış olabilir Yanlış parola Hesap ihmalden ötürü devre dışı bırakılmış Disiplin süreci nedeniyle hesap askıda Sistem oturumunuzu sonlandırıyor Ne yapabilirsiniz? Oturum açma konumunuzu değiştirin Diğer dillerde: Deutsch English Español Français Italiano 日本語 Português Русский Bu makale size, sorununuzu tanımlamanızda ve uygun bir çözüm seçmenizde yardımcı olur. Sorun gidermeye başlamadan önce: Önce Second Life ağ durumunu kontrol ederek, oturum açılmasını engelleyen bilinen bir sorun olmadığına emin olun. Hata mesajları Second Life&apos;a oturum açamıyorsanız, hata mesajı sorunun nedenine işaret edebilir. Bölge el sıkışması bekleniyor "Bölge el sıkışması bekleniyor" mesajı, Second Life Görüntüleyicisi sunucudan bir onay almadığı zaman gösterilir. Bu hatanın normal nedeni, UDP paketlerinin bir güvenlik duvarı nedeniyle engellenmesidir. Bu hatayı çözmek için güvenlik duvarınızı yeniden yapılandırın. Güvenlik duvarlarını nasıl yapılandıracağınızla ilgili bilgi edinmek için bkz. : Second Life&apos;ı bir güvenlik duvarı ile kullanmak. Hesabınıza şu zamana kadar erişemeyeceksiniz (tarih/saat) Eğer hata mesajı, zaten oturum açmakta (veya oturumu kapatmakta) olduğunuzu belirtirse, Second Life hala avatarınızın oturumunu kapatmaya çalışmaktadır. Second Life&apos;ı kapatın, on beş dakika bekleyin, sonra tekrar oturum açmaya çalışın. Eğer şu hata mesajını görürseniz: Oturum açma başarılamadı; Hesabınıza şu zamana kadar: (tarih/saat) erişemeyeceksiniz — bu genellikle, Second Life hesabınızın idari olarak engellendiği anlamına gelir. Kısa süreli engellemeler (bir saatten daha kısa süreli), SL dünyası içerisindeki uygunsuz davranışların neticesi olabilir. Daha uzun süreli engellemeler genellikle kötüye kullanım neticesinde gerçekleşir. Belirtilen süreye kadar Second Life&apos;ı kullanamazsınız; eğer bu süre bir saatten uzunsa, bu konuda Kötüye Kullanımla Mücadele Ekibi size bir e-posta gönderecektir. İstenmeyen spam filtrelerinizi kontrol edin. Kötüye kullanımla ilgili olarak konulan idari engellemeler Linden Lab tarafından kaldırılamaz. Bu konumdan Second Life&apos;a erişemezsiniz Bu hata mesajı ayrıca şu şekilde görülebilir: Oturum açılamadı. Second Life&apos;a bu bilgisayardan erişemezsiniz. Bu mesajlar genellikle, aşağıdaki durumlar nedeniyle Linden Lab tarafından Second Life sunucularında engellendiğinizi gösterir: Belgelenmiş dolandırıcılık vakaları Second Life&apos;ın reşit olmayan biri tarafından kullanılması Son derece aşikar kötüye kullanım faaliyetleri Ancak bu faaliyetleri gerçekleştiren kişinin sizinle aynı hanede bulunan başka biri de olabileceğini, size ait hesabın kullanılmış olmayabileceğini de dikkate alın. Eğer bu durumun bir hata olduğunu düşünüyorsanız, destek portalı üzerinden bir destek talebi gönderin. Müşteri destek bölümünün hangi engelin neden konulduğunu belirlemesine yardımcı olmak için, destek talebinize Second Life hesap adınızı ve bulunduğunuz konumdan oturum açan diğer olası Second Life hesap bilgilerini dahil edin. DNS sunucu adını çözümleyemedi Bu hata mesajı ayrıca şu şekilde görülebilir: Sunucu http&apos;si bulunamadı Oturum açılamadı. Bir simülatöre bağlanılamadı. Bu mesajlar, bilgisayarınızın sayısal IP adreslerini insanlar tarafından okunabilir adreslere dönüştüren alan adı hizmeti (DNS) ile ilgili genel bir ağ sorunu yaşadığını gösterir. secondlife.com, Google veya başka İnternet sitelerine erişebildiğinizi doğrulayın. Bilgisayarınız bu web sitelerine bağlanabildiği zaman bu hatanın da artık meydana gelmemesi gerekir. Ayrıca, aşağıda tarif edildiği şekilde, Second Life ile ilgili daha kapsamlı bir sorun olup olmadığını kontrol edin. Genellikle bilgisayarınızı ve yönlendiricinizi yeniden başlatmak bu sorunu çözecektir. Eğer çözmezse, İnternet hizmet sağlayıcınızla iletişime geçin. Ayrıca Google&apos;ın DNS sunucularını kullanarak sorunu çözmeyi deneyebilirsiniz. Daha fazla bilgi edinmek için bkz. Google Kamu DNS sunucularını kullanmak. Muhtemel nedenler Linden Lab geçici olarak tüm oturum açma işlemlerini sınırlamış olabilir Linden Lab, sunucuları ciddi teknik sıkıntılar yaşadığında veya kapsamlı bakım gerektirdiğinde, zaman zaman Second Life&apos;a erişimi kısıtlar. Bu kesintiler sadece sizin bilgisayarınızı veya hesabınızı değil, tüm Sakinleri etkiler. Second Life&apos;ın durumunu şurada kontrol edin: http://status.secondlifegrid.net. Bu sayfada bilinen tüm sorunlar listelenmektedir. Yanlış parola Oturum açma başarısızlıklarının yaygın bir nedeni yanlış parola kullanımıdır. Parolalar küçük büyük harflere duyarlıdır, o nedenle parolanızı doğru girdiğinize eminseniz Caps Lock&apos;ı kontrol edin. Eğer kullanıcı adınızı veya parolanızı unuttuysanız, buna tekrar erişmek için Hesap kimlik bilgileri kısmındaki talimatları takip edin. Hesap ihmalden ötürü devre dışı bırakılmış Eğer kulvar veya özel Bölge ücretlerinizi zamanında ödemezseniz, hesabınız ve alternatif hesaplarınız ihmalden ötürü devre dışı bırakılabilir. Daha fazla bilgi edinmek için bkz. İhmal Politikası. Disiplin süreci nedeniyle hesap askıda Bir kullanıcının Hizmet Sözleşmemizi veya Topluluk Standartlarımızı ihlal ettiğini saptarsak, bir disiplin önlemi olarak bu Sakinin hesabını askıya alabiliriz. Bir hesabı bu şekilde askıya aldığımızda, bu hesap için kayıtlı e-posta adresi üzerinden hesap sahibine bir mesaj göndeririz. Önemli: Mesajlarımızın istenmeyen e-posta işlemi görmemesini sağlamak için "secondlife.com" ve "lindenlab.com" adreslerini e-posta istemcinizin güvenilir göndericiler listesine eklediğinize emin olun. Sistem oturumunuzu sonlandırıyor Second Life&apos;a tekrar girmek için önceki oturumunuzu sonlandırmanız gerekir. Bazen, genellikle oturumunuzu kısa süre önce sonlandırdığınızda veya bir sistem çökmesinden sonra, Second Life yanlışlıkla oturumunuzun hala açık olduğunu sanar. Eğer "Sistem oturumunuzu sonlandırıyor..." şeklinde bir oturum açma başarısızlığı mesajı alırsanız, tekrar oturum açmadan önce birkaç dakika beklemeyi deneyin. Eğer bu mesajı almaya devam ederseniz "sıkışmış mevcudiyet" kurbanı olabilirsiniz; bunu çözmek için avatarınızın sıkıştığı bölgenin yeniden başlatılması gerekir. Özel veya Concierge seviyesinde hesaplara sahip Sakinler, canlı sohbet, destek talebi gönderme veya telefon destek hattı üzerinden bölgenin yeniden başlatılmasını talep edebilir. Temel hesaplar şu anda avatar seviyesinde desteğe sahip değildir. Ne yapabilirsiniz? Eğer neden oturum açamadığınızdan emin değilseniz, şunları yapmayı deneyin: Kullanıcı adınızı veya parolanızı tekrar kontrol edin. Eğer bir hata mesajı almaya devam ederseniz, Second Life web sitesinde oturum açmayı deneyin. Web sitesine oturum açamıyorsanız, sorun muhtemelen kullanıcı adınız veya parolanızla ilgilidir. Parolanızı sıfırlamak için web sitesinde Oturum açma bilgilerinizi mi unuttunuz? kısmındaki talimatları takip edin. Oturum açma konumunuzu değiştirerek farklı bir bölge seçin. Bunun nasıl yapılacağıyla ilgili aşağıdaki talimatlara bakın. Bilgisayarınızı, modeminizi ve yönlendiricinizi yeniden başlatın. Yeniden başlatma işlemi sırasında, tüm cihazları kapattıktan sonra yeniden başlatmadan önce en az on saniye beklediğinize emin olun. Bu şekilde yönlendirme sorunlarını ve bağlantıyla ilgili diğer sorunları genellikle çözebilirsiniz. Hala oturum açamıyorsanız, özel ve Concierge Sakinler, canlı sohbet, destek talepleri veya telefon aracılığıyla müşteri destek bölümüne başvurabilir. Temel müşteriler bir destek talebi gönderebilir. Daha fazla bilgi edinmek için bkz. Müşteri destek bölümüne nasıl başvurulur. Oturum açma konumunuzu değiştirmek Varsayılan olarak oturum açtığınız zaman daima SL dünyasındaki en son konumunuza gidersiniz. Ayrıca oturum açma konumunuzu ana konumunuz olarak ayarlayabilir ve bu seçeneğin oturum açma ekranında görüntülenmesini isteyip istemediğinize karar verebilirsiniz. Bu tecihleri ayarlamak için: Second Life&apos;ı başlatın. Oturum açma ekranında şuraya gidin: Ben > Tercihler. Genel sekmesine tıklayın. Standart konum altında, varsayılan olarak ne istediğinize bağlı olarak Ana Konumum veya Son Konumum seçimini yapın. Ayrıca oturum açma sırasında başlangıç konumunu seçmek istiyorsanız Oturumu açarken göster seçeneğini işaretleyin. Tamam üzerine tıklayın. Buradan başla: oturum açma ekranında artık bunu görürsünüz. Сообщения об ошибках Устанавливается связь с регионом Ваш аккаунт не будет доступен до (дата/время) Вы не можете войти в Second Life из этого места DNS не может распознать имя узла Возможные причины В Linden Lab может быть временно ограничен вход пользователей Неверный пароль Аккаунт отключен из-за задолженности Аккаунт приостановлен в качестве дисциплинарной меры В системе выполняется выход для вашего аккаунта Что делать Изменение места входа в систему На других языках: Deutsch English Español Français Italiano 日本語 Português Türkçe Эта статья поможет вам диагностировать проблему и выбрать подходящее решение. Перед началом устранения неполадок: сперва проверьте состояние сетки Second Life и убедитесь в отсутствии известных проблем, мешающих входу в систему. Сообщения об ошибках Если вы не можете войти в Second Life, текст сообщения об ошибке может указывать на причину этой проблемы. Устанавливается связь с регионом Сообщение «Устанавливается связь с регионом» появляется, если клиент Second Life не получил подтверждения от сервера. Обычно такая проблема вызывается брандмауэром, блокирующим пакеты UDP. Чтобы устранить ее, измените настройки брандмауэра. Информацию по настройке брандмауэров можно найти на странице: Использование Second Life с брандмауэром. Ваш аккаунт не будет доступен до (дата/время) Если в сообщении об ошибке сказано, что вы уже вошли в систему (или вышли из нее), это значит, что Second Life продолжает попытки вывести из системы ваш аватар. Закройте Second Life, подождите 15 минут, а затем попробуйте войти снова. Если появляется следующее сообщение об ошибке: Ошибка входа. Ваш аккаунт не будет доступен до (дата/время) это обычно означает, что ваш аккаунт Second Life был заблокирован в административном порядке. Кратковременная блокировка (продолжительностью меньше одного часа) может быть следствием вашего неподобающего поведения в игровом мире. Более продолжительные блокировки, как правило, являются санкциями за нарушения. До указанного времени вы не сможете использовать Second Life; если с этого момента прошло более часа, вы получите по электронной почте пояснение от отдела борьбы с нарушениями. Проверьте свои фильтры спама. Специалисты Linden Lab не могут снять административную блокировку за нарушения. Вы не можете войти в Second Life из этого места Вместо этого сообщения также может отображаться: Ошибка входа. Нельзя входить в игру Second Life на этом компьютере. Эти сообщения обычно означают, что администрация Linden Lab запретила вам доступ к серверам Second Life по причине: доказанных случаев мошенничества; использования Second Life несовершеннолетними; исключительно серьезного нарушения. Учтите, что это нарушение могло быть совершено другим членом вашей семьи, и не обязательно с вашего аккаунта. Если вы считаете, что запрет установлен по ошибке, направьте заявку через портал поддержки. Чтобы облегчить службе поддержки пользователей выяснение подробностей запрета и его причины, укажите в заявке имя своего аккаунта Second Life и имена всех других аккаунтов Second Life, входивших в игровой мир с вашего компьютера. DNS не может распознать имя узла Вместо этого сообщения также может отображаться: Узел HTTP не найден. Ошибка входа. Не удается подключиться к симулятору. Эти сообщения показывают, что на вашем компьютере имеет место проблема со службой доменных имен (DNS), которая преобразует числовые IP-адреса в понятные для человека имена. Проверьте, доступны ли с вашего компьютера сайты интернета, такие как secondlife.com, Google и другие. Если ваш компьютер может соединиться с этими сайтами, такая ошибка больше не должна происходить. Кроме того, убедитесь, что в самой системе Second Life нет неполадки, как описано ниже. Как правило, такая проблема устраняется перезагрузкой компьютера и маршрутизатора. Если это не помогает, обратитесь к своему интернет-провайдеру. Также может быть целесообразно использовать DNS-серверы Google для устранения проблемы. Подробнее об этом см. на странице Использование Google Public DNS. Возможные причины В Linden Lab может быть временно ограничен вход пользователей Linden Lab время от времени ограничивает доступ пользователей в Second Life, когда серверы игрового мира испытывают серьезные технические трудности или требуют продолжительного перерыва на обслуживание. Это отключение влияет на всех жителей и не ограничивается вашим компьютером или аккаунтом. Проверьте состояние Second Life на странице http://status.secondlifegrid.net. На этой странице будут перечислены все известные проблемы. Неверный пароль Неправильный ввод пароля – распространенная причина ошибки при входе. В паролях различаются прописные и строчные буквы, поэтому, вводя пароль, не забудьте проверить состояние режима Caps Lock на клавиатуре. Если вы забыли свое имя пользователя или пароль, для их восстановления выполните инструкции на странице Учетные данные аккаунта. Аккаунт отключен из-за задолженности При продолжительной неуплате сборов за пользование землей или за частный регион ваш аккаунт вместе с вашими альтернативными аккаунтами может быть отключен из-за задолженности. Более подробные сведения см. на странице Политика задолженности. Аккаунт приостановлен в качестве дисциплинарной меры Если будет обнаружено, что житель нарушил наше Пользовательское соглашение, Стандарты сообщества или другие правила, в качестве дисциплинарной меры действие аккаунта этого жителя может быть приостановлено. В случае такой приостановки владельцу аккаунта отправляется извещение на адрес электронной почты, зарегистрированный для данного аккаунта. Это важно! Убедитесь, что домены «secondlife.com» и «lindenlab.com» внесены в список надежных отправителей вашего почтового клиента, чтобы сообщения от них не помечались как спам. В системе выполняется выход для вашего аккаунта Чтобы вы смогли вернуться в Second Life, ваш предыдущий сеанс должен быть завершен. Иногда, обычно после недавнего выхода из системы или сбоя, Second Life ошибочно считает сеанс незавершенным. Если при попытке входа появляется сообщение «В системе выполняется выход для вашего аккаунта», подождите несколько минут, а затем попробуйте войти снова. Если же это сообщение появляется снова, возможно, произошло «зависание присутствия», для устранения которого следует перезапустить регион, в котором завис ваш аватар. Жители с премиум-членством или аккаунтами привратников могут попросить о перезагрузке региона в живом чате, отправив заявку или позвонив по телефону службы поддержки. Базовые аккаунты в настоящее время не имеют доступа к поддержке на уровне аватаров. Что делать Если вы не знаете, почему вход невозможен, попробуйте сделать следующее: Еще раз проверьте свои имя пользователя и пароль. Если сообщение об ошибке появляется снова, попробуйте войти на веб-сайт Second Life. Если же и на веб-сайт не удается войти, причина, скорее всего, в вашем имени пользователя или пароле. Выполните инструкции по сбросу пароля в разделе Forgot your login information? (Вы забыли данные для входа?) на веб-сайте. Смените место входа на другой регион. Как это сделать, показано ниже. Перезапустите свой компьютер, модем и маршрутизатор. При перезапуске полностью выключите питание устройств и подождите не менее десяти секунд. Это действие часто помогает устранить проблемы с маршрутизацией и другие неполадки сети. Если войти все равно не удается, владельцы премиум-аккаунтов и привратники могут обратиться к службе поддержки пользователей с помощью живого чата, отправив заявку или позвонитв по телефону. Владельцы базовых аккаунтов могут подать заявку в службу поддержки. Подробные сведения см. на странице Как обратиться в службу поддержки. Изменение места входа в систему ПО умолчанию вы всегда попадаете в то место игрового мира, где были в прошлый раз. Можно также указать, чтобы местом входа был ваш дом, а на экране входа предлагалось выбрать место. Для установки этих настроек сделайте следующее: Запустите Second Life. На экране входа выберите команды Я > Настройки. Откройте вкладку Общие. В разделе Место старта выберите Мой дом или Мое последнее место. Если вы хотите указывать место старта при входе, выберите Показывать на экране входа. Нажмите кнопку OK. Место старта: теперь будет отображаться на экране входа.